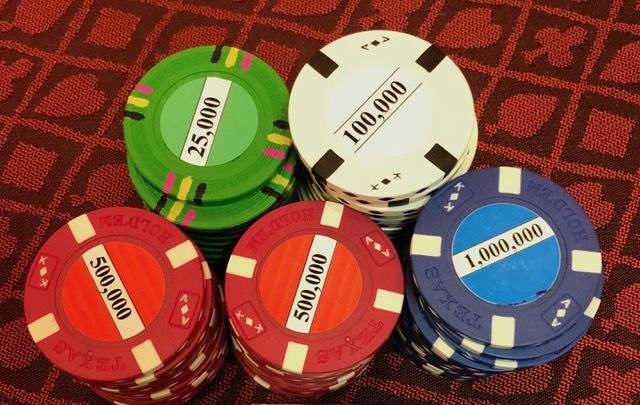 A fun home game idea shared by @BernardLeePoker -- recreating the WSOP Main Event final table. When recreating WSOP Main Event final table, this home game got calls from @SBlum2711 and @John_Cynn. Every summer, many hopefuls arrive in Las Vegas to fulfill a lifelong poker dream. Each player commits $10,000 to enter the most anticipated poker tournament of the year: The World Series of Poker Main Event. In today's poker landscape, thousands of players embark on this epic journey, chasing fame and fortune. However, only nine of them reach the mountain top, playing in front of a worldwide ESPN audience. These final table players attempt to reach poker's pinnacle and become the WSOP Main Event champion. 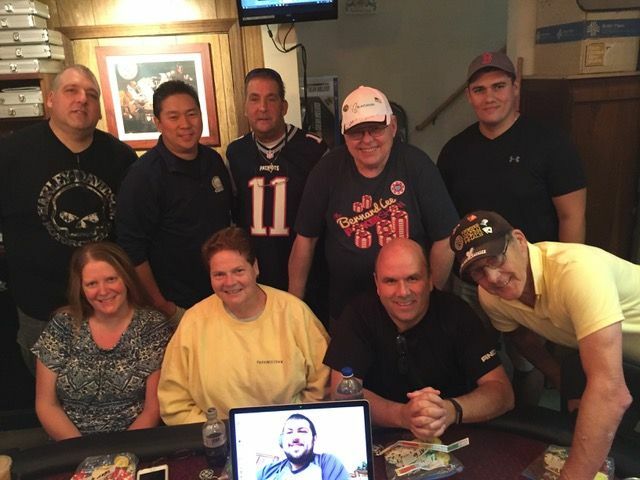 While only nine players are able to achieve this accomplishment every summer, one Massachusetts native has replicated this final table scenario at his house every year since 2008. In 2008, Ken "Tens" Tilden from Brockton, Mass., like millions of other poker players, was introduced to the concept of the November Nine. That year, the final nine WSOP Main Event players took a 117-day hiatus to create anticipation and additional publicity prior to playing for poker's most coveted bracelet. St. Louis native Dennis Phillips entered this highly awaited final table as the chip leader, while Denmark's Peter Eastgate eventually captured the 2008 WSOP Main Event title. After watching this final table on ESPN, "Tens" (named after his favorite hand) came up with a creative idea for himself and his poker buddies. Similar to many other recreational players around the world, "Tens" and his buddies didn't have the financial resources to enter the WSOP Main Event. However, Tilden wanted to create an annual event for his poker buddies and decided to simulate the WSOP Main Event final table in their home game. "In my house, I only have room for one table. Over the summer of 2008, I was thinking of different ideas to do a special one-table tournament," explains Tilden. "2008 was the first year of the November Nine and while I was watching the WSOP Main Event, I thought we could recreate the final table. We have all always wanted to play in the WSOP Main Event. So, I explained the idea to all of my poker buddies and eight of them said they would be interested and committed to playing. Everyone loved the tournament and I've been doing it every year since then." Although ESPN does not set up lights and cameras in his house, Tilden attempts to replicate the event as close to the actual WSOP Main Event final table as possible. When the tournament begins, Tilden reproduces the exact blind levels (although he reduces the levels to one hour in order to finish the event in one day), chips stacks, and button placement. Tilden has even painstakingly created high denomination chips for the "Final Table." "I wanted to have the chips but I didn't want everyone asking what the denominations were over and over again. So, I printed out small stickers and created a WSOP final table chip set. I slowly put the stickers on while playing online poker or watching TV and it took about a couple of weeks." 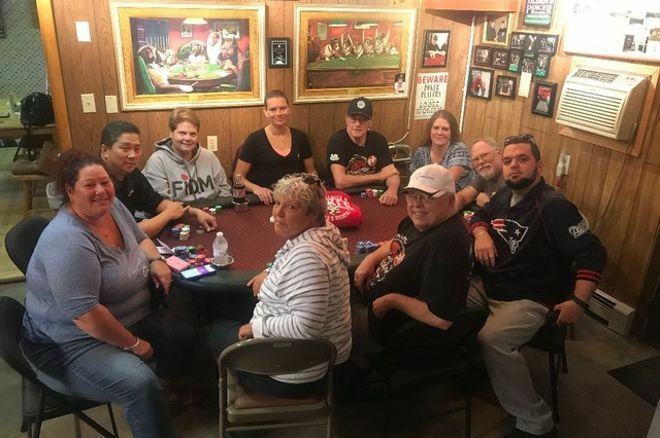 On the day of the "Final Table," the players arrive at Tilden's house, buy in, and then randomly choose their Final Table Player out of a hat. The player then sits down at their specific seat with their corresponding chip stack. Since there are only nine players starting the event, unlike the WSOP Main Event, only the top three players get paid. Over the years, I had heard about this event, but had not been able to play. However, over the last two years, I have been fortunate to fit the event into my schedule. Both years, I "introduced" special guests to my fellow competitors. 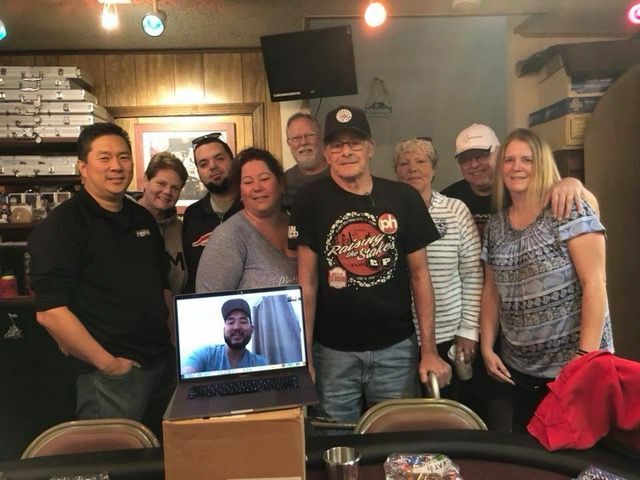 In 2017 and 2018, the respective reigning WSOP Main Event champions Skyped the group to wish them all good luck. 2017 Main Event champ Scott Blumstein wishing the final table good luck last year. 2018 WSOP Main Event champ John Cynn checking in before play begins. "Each year, Bernard surprises us with the WSOP Main Event champion. Speaking with the champ really helps set the tone for the event and creates additional excitement before we sit down to play," says Tilden. And the WSOP Main Event champions were happy to join in on the fun. "I think it is such a cool idea and I was happy to wish everyone good luck," recalls Blumstein. When I played in 2017, I was very fortunate to pick the chip leader and the actual champion, "Scott Blumstein." Although I made it to heads-up, I was not fortunate enough to replicate Blumstein's result, losing to "Damian Salas," played by David Bordwin from Bridgewater, Mass. This year, I represented my good friend, "Joe Cada," as he actually cheered me on via text: "That's awesome. Go win it!" As "Cada," I started the "Final Table" well, chipping up early and built a nice stack. Midway through, I got on a nice run of cards, eliminating the fifth- ("John Cynn") and fourth-place ("Nicolas Manion," played by the host, Ken Tilden) players to not only burst our money bubble, but also take the chip lead. 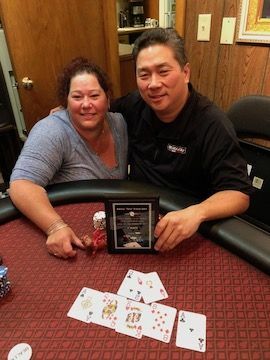 In the end, I beat "Michael Dyer" played by Robyn Londergan from Mansfield, MA and won the coveted Plaque in lieu of a diamond encrusted bracelet. Joe Cada was thrilled when I texted him the result. "Damn. Nice job," he texted. "You should have taken my seat this summer. LOL." "Do over. That's not right," he cracked via text. Playing in this fun-filled event, I have always had an enjoyable day with good friends, food and poker. Although I am fortunate to play in several final tables on tour during the year, I still enjoy the experience of playing another simulated one, especially with such high chip denominations. Additionally, most single table tournaments are sit-n-go's where everyone starts with the same number of chips while this format creates a true final table experience. Although the annual event is run exceptionally well by Tilden, I have offered a few suggestions that may be implemented in the coming years. Choose the players prior to arriving to allow each player to formulate a strategy based on their seat. If you know the other players at the table, you can develop strategies based on their tendencies and where they are sitting with respect to you. Shorter stacks pay less than the chip leaders. Currently, everyone pays the same amount and it seems slightly unfair that the dominant chip leader (this year, Manion) had 188 big blinds entering the "Final Table," while the short stack (Antonie Labat) had only 13. After some calculations, I believe that the chip leaders should buy in for slightly more (but less than third place), giving the short stacks a discount. Instead of a plaque, the winner should receive a bracelet to simulate the WSOP Main Event final table. So the next time you get together with your poker buddies, consider recreating a big event such as the WSOP Main Event final table. Not only will everyone get a simulated final table experience, but the event is also a valuable learning tool. Another possible twist for regular home games would be to set aside a small amount every week and add it to the overall prize pool in order for everyone to be paid and create an even more realistic scenario. And who knows, maybe it will be the perfect practice if you are able to actually make the WSOP Main Event final table. Hey, we all can dream, right?! ?